BONNET-LOK Carpet Brush Pad Driver - 17" Dia. 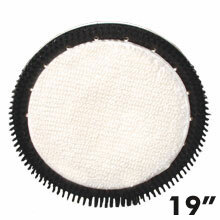 BONNET-LOK Carpet Brush Pad Riser - 19" Dia. 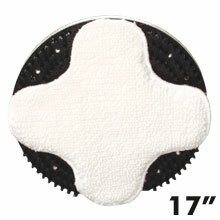 BONNET-LOK II Carpet Bonnet System Pad/Disc Driver & Bonnet - 17" Dia. BONNET-LOK II Carpet Bonnet System Pad/Disc Driver & Bonnet - 19" Dia. TUFF-BLOCK Carpet Shampoo Scrub Brush - 17" Dia. 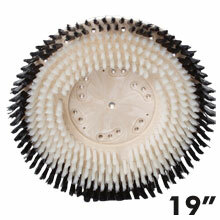 TUFF-BLOCK Carpet Shampoo Scrub Brush - 19" Dia. 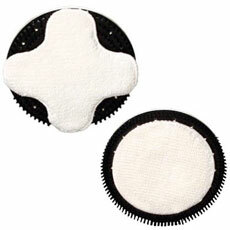 TUFF-BLOCK Carpet Shampoo Scrub Brush - 20" Dia. TUFF-BLOCK Carpet Shampoo Scrub Brush - Wood Block - 17" Dia. TUFF-BLOCK Carpet Shampoo Scrub Brush - Wood Block - 19" Dia. TUFF-BLOCK Carpet Shampoo Scrub Brush - Wood Block - 20" Dia. UnoClean offers professional Carpet Cleaning Bonnets and Carpet Cleaning Brushes that will produce professional carpet cleaning results. This bonnet pads and carpet brushes are also used to clean rugs, throw rugs and carpet matting. These bonnet pad systems and carpet brushes are use in conjunction with your rotary floor machine. From A to Z you will find thousand of janitorial supplies ready for all your janitorial needs. If you don’t see what you are looking for in our on-line catalog please call 1-224-654-6500 for one of our customer support personnel. Your #1 on-line source for cleaning equipment and janitorial supplies! 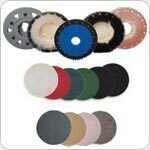 Choose from a large selection of pads, brushes & drivers. 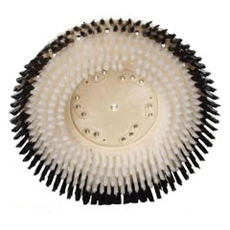 For additional help, you may review our Brush Selection Basics or at any time, please call us toll FREE 1-888-226-2724 and a sales representative will happily assist you.